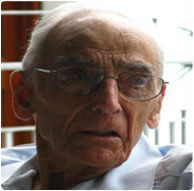 The Redemptorists and the Diocese of Roseau, Dominica, mourn the death of Father Albert "Otto" Stoeckel, who passed away May 13. He was 99. Father Stoeckel made his first profession of vows Sept. 2, 1932. He made his final profession on Sept. 2, 1935, and he was ordained to the priesthood June 20, 1937. His first missionary visit to Dominica was in 1971. The following year he was called by his Provincial to preach missions in Canada. He returned to Dominica 1974 and was stationed at St. Theresa, Salisbury; St. Joseph, and the Cathedral of Our Lady of Fair Haven, Roseau; La Salette, Pte Michel; St. Patrick, Grandbay;, and Our Lady of Lourdes, Soufriere. Since 1990, he had been stationed at the St Alphonsus House at the Holy Redeemer Retreat House in Eggleston, where he regularly assisted at Our Lady of Fatima Parish and the home for the aged. Well into his mid-90s, when it became too difficult for him to travel by himself, he occasionally said Mass in the Chapel of Our Mother of Perpetual Help in Geraudel in the Eggleston community. And he regularly visited the Home for the Aged and the Grotto Home for the homeless to celebrate the Eucharist with them until approximately two years ago when he was no longer able to do so. Father Stoeckel spent most of his ministry preaching missions and giving retreats. He was an excellent and well-received missionary who was always in great demand and was known for preaching the traditional Redemptorist themes with traditional missionary enthusiasm.